The emotional buildup to this odyssey was undeniably intense. The push for ‘Anthea in Antarctica’ Dare to Care campaign for Hush from October 2017. The determination to borrow gear to stay green. The joyous Chinese New Year festivities. The last minute media interviews. The deep gratitude in having the financial resources to self-fund this adventure. The disappointment that young John Tsao could not get any sponsors to fund his. The no-matter-how-little-there’s-still guilt of leaving Vincent to hold A Good Space for a month with all the good stuff happening. And the we-have-run-out-of-time episode with Lululemon to do the video for Project Yoga-on-Wheels. The happiness from finishing the 3 phenomenal reads on Antarctica from the library, just on time. The delight from packing everything needed for a month away into a 65-litre backpack, and nothing else. The anticipation of a 48-hour flight journey and all the Oscar movies that could be devoured. The incongruence that hit with this fancy mountain resort that we checked into at Ushuaia. The sheer disbelief that the first manifestation of #AO50 was actually materialising, even as we set sail through the Beagle Channel with the Ocean Endeavour. 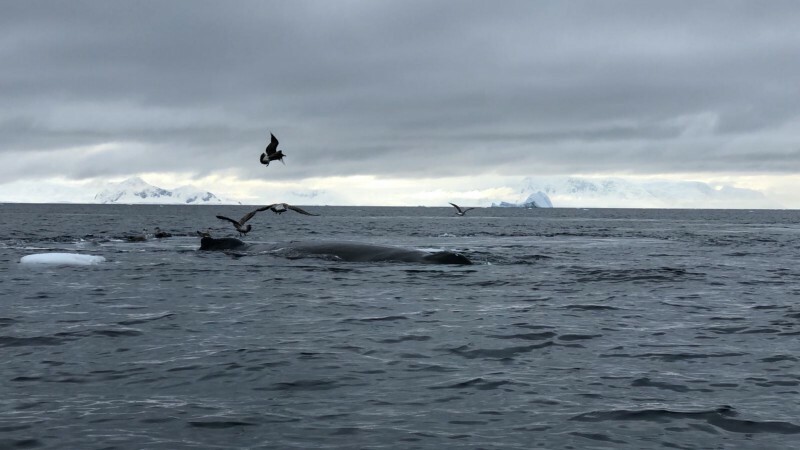 Then the surprise of crossing the Drake Passage, the world’s stormiest body of water between South America’s Cape Horn and the South Shetland Island of Antarctica, in fine form with no drugs or patches — just in G(inger) I trusted (and meditation/yoga too). Yet the collective dread from so many who were severely 10-foot waves-challenged was apparent. The deepening concern for cabin mate, Manyi, bedridden for 2 days with no ability to ingest food. The calm delight in my yoga and meditation practice at the Meridien lounge those two mornings, waves-enhanced (and every morning after, with icebergs and calmer waters). The incongruence (again) with the cruise-like, and not expedition, experience in the ship. Yet the gratitude from the daily oh-so-nourishing vegan feeds served in style was real. The simple joy of sharing yoga with Anjuli, Barney, Trenton and Mariam that day before lunch was spontaneous. The child-like wonder and awe of sighting that first iceberg and that first whale from the ship. The delight in connections made and mealtime conversations had with certain team mates. The gradual disengagement with certain so-called Leadership Training group activities (this disengagement would get decidedly more pronounced in the days to follow). The beginning of a year for solitude and silence was making its presence felt. 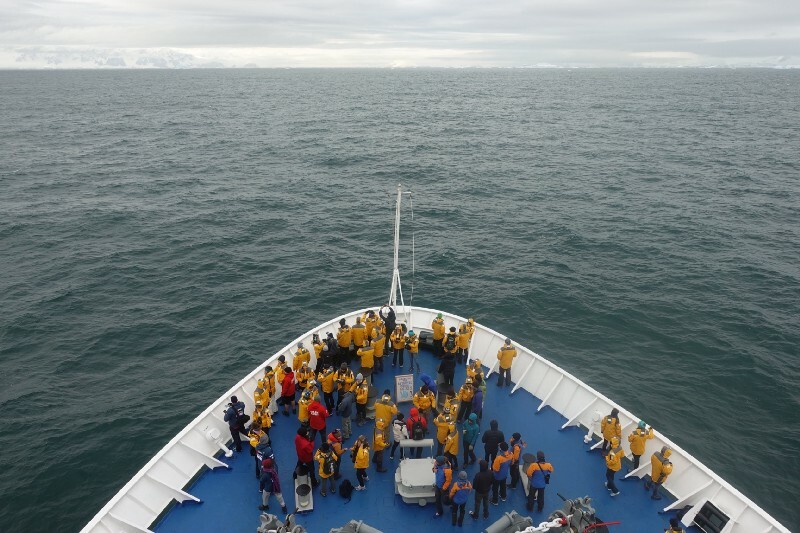 The team-inspired jubilation from crossing the Antarctic Circle at 66° 33´ on 3 March was rousing. 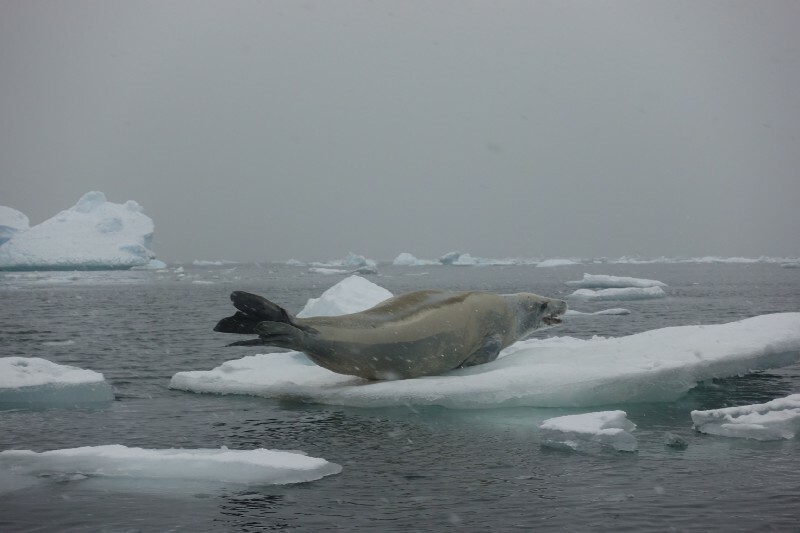 On 3 March, we geared up in the Mud Room, then herded onto our first zodiac cruise and made our first landing on Detaille Island. 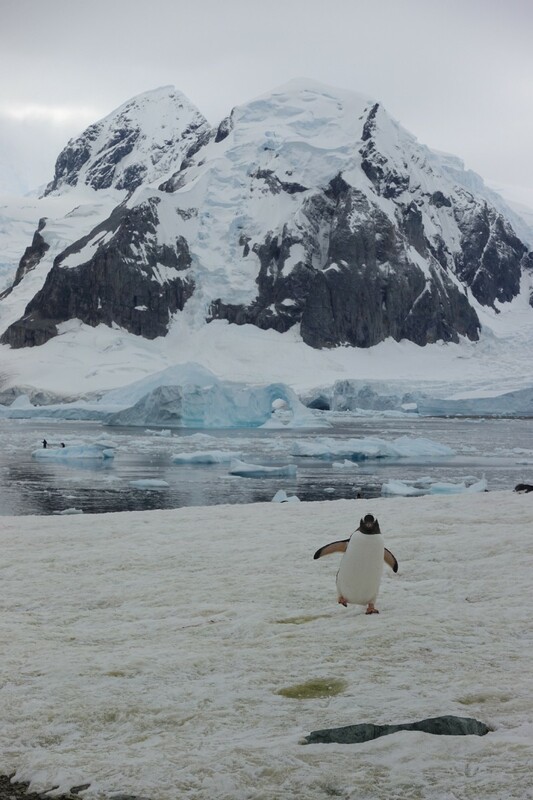 That sense of relief from feeling firm ground — no matter it is layers and layers of timeless ice — under your feet after days on sea juxtaposed with the exhilaration of seeing my first penguins brought me to my knees to kiss the icy grounds. No matter how clumsy the layers and the muck boots rendered me. Visiting Base W (1956–59) of the British Antarctic Survey (BAS) on the island did not strangely excite this history buff the usual way for what came was something that couldn’t be explained. As much as the new SONY camera and iPhone froze out in the deep cold, there was also strangely no real desire to take any pics of the living quarters that was time-trapped in 1959 because cold preserves everything. 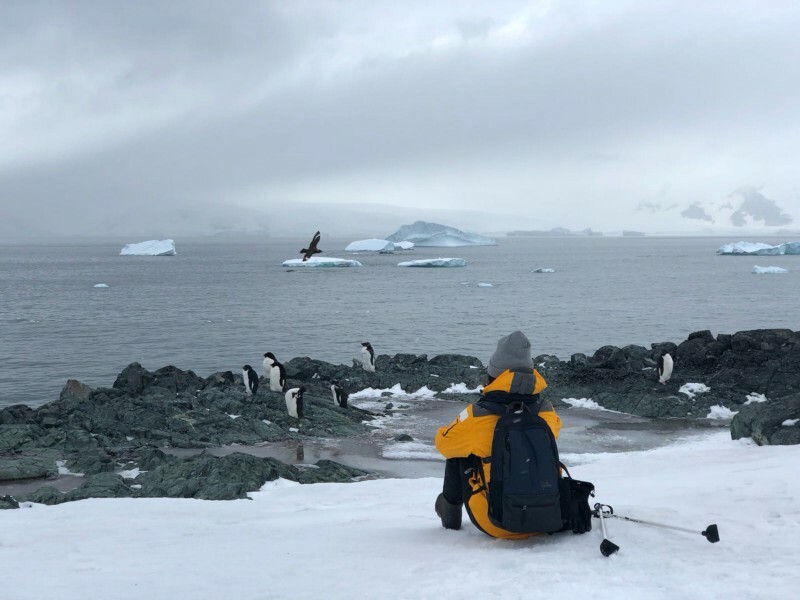 The reflex to make contact with the penguins is almost involuntary yet the rule of engagement with all wildlife is 5 metres — I deeply respected that and adhered to mindfully. 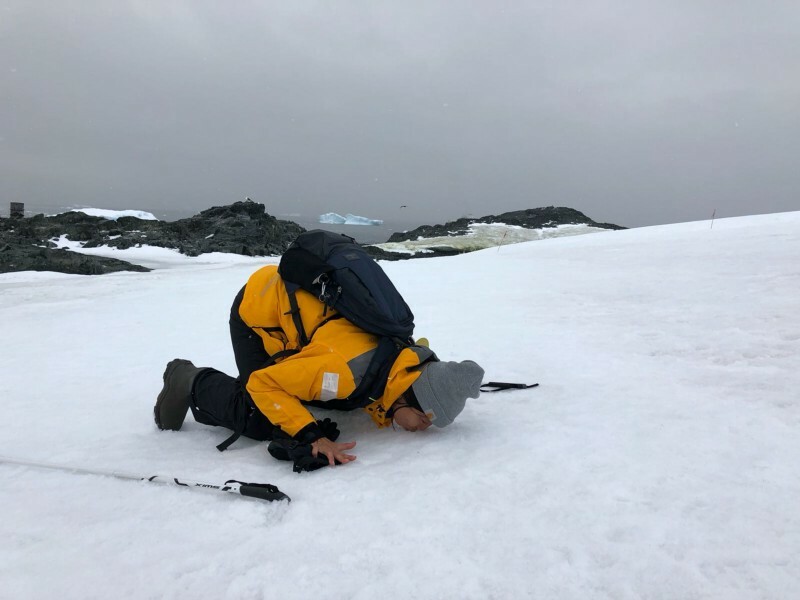 So yes, that long-held quest for the most profile pic-worthy composition with an Antarctican native, penguin, was crushed in full acceptance — in no time. Then back to the ship after each excursion — for meals, for talks, for the Leadership Training group activities … gripping talks on Marine Glaciology, Marine Biology, Whales, Penguins, Sea birds, Geology, Antarctic History by the Quark specialists — and on Leadership, Storytelling, Climate Change, Mitigation & Sustainability by 2041 team. And each day from that day on became a strangely unsettling yet highly anticipated routine. More of the mystery and majesty of Antarctica unravelled with each landing, with each zodiac cruise, as Ocean Endeavour sailed along the Peninsula (west of Antarctica ) progressively up north — Cape Tuxen, Damoy Point, Valour Islands, Port Charcot, Lemaire Channel, Petermann Island, Pleneau Bay, the Iceberg Graveyard — before we made our continental landing (Portal Point) on 7/8 March and Whalers Bay at Deception Island (the caldera of an active volano) on 9 March. That same evening, we bade farewell to the big ice sheets of Antarctica before gliding ceremoniously towards the Drake Passage for the next 2 days — homeward bound. The heart doesn’t lie when the eyes receive in honesty — my entire being danced in awe with each whale that gracefully swooshes and squirts that delightful fountain of breath, each seal that proudly hollers with all that blubber of strength, each penguin that waddles unapologetically as a legit native (ok, maybe just the first 208 of them and not other 1458!). Their magnificence — when so close — joyfully reminded me of beauty and significance. And co-existence. 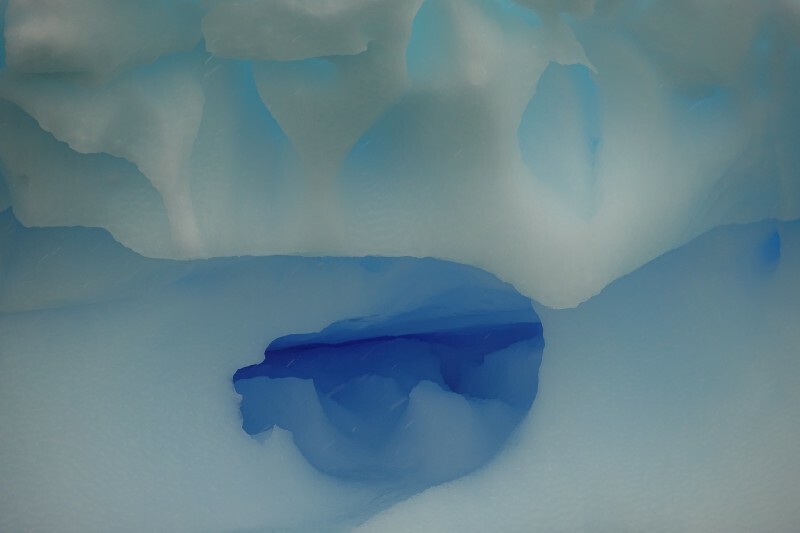 Ice formations of every kind — glaciers, icebergs, sea ice, snow — sculpt the landscape of this hostile environment deceivingly into alluring works of art. Like the way I see clouds, I saw shapes of stories — these installations of timelessness tell the history of our planet and the future of humanity. And I literally bit into this reality! Each place could be described to the most granular of detail in terms of what was seen, heard and felt if this was travelogue but it is not. What stays when the exhilaration is long gone is that which has changed forever within me. 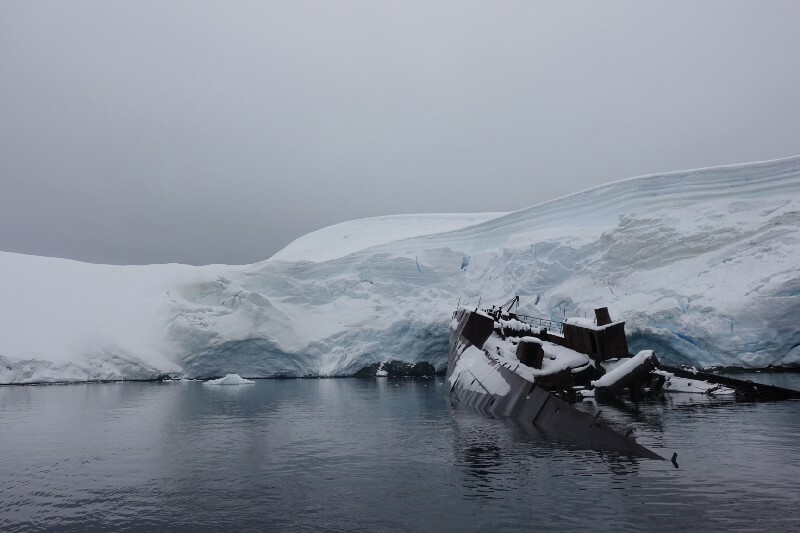 That afternoon (still early part in the Expedition), standing up on a floating zodiac with the engine cut off at Pleneau Bay (or was it the Iceberg Graveyard?) 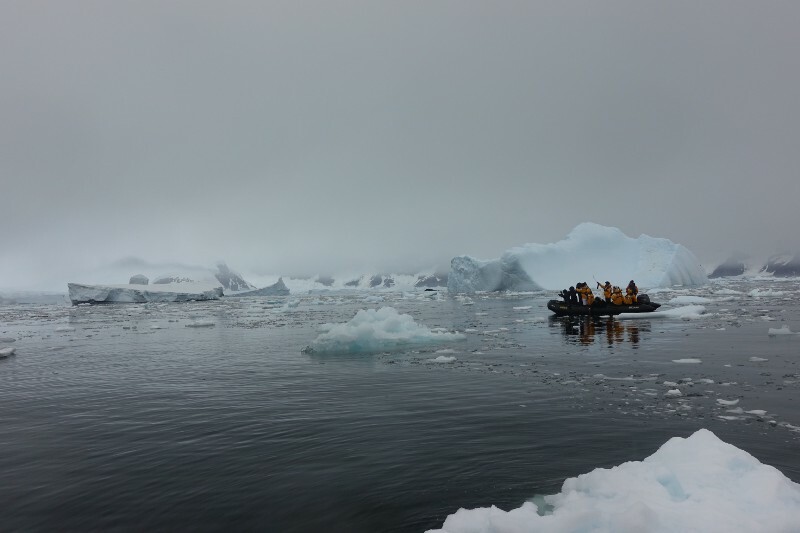 — weightlessly moving with the silence and vastness of the ice, snow and breath — that was the true Antarctican moment for me (thanks in such a great part to both the driver and other fellow travellers who also honoured the silence). I hollowed out completely to Antarctica — like I was turned inside out so I can peer as deeply in as I could. Inch Chua was looking for sounds and she knew. I didn’t know but I was seeking that deep deafening silence that transcends the millenia that is also my humanity beyond my current form, where and what I came from. When time stood still, so my mind too. 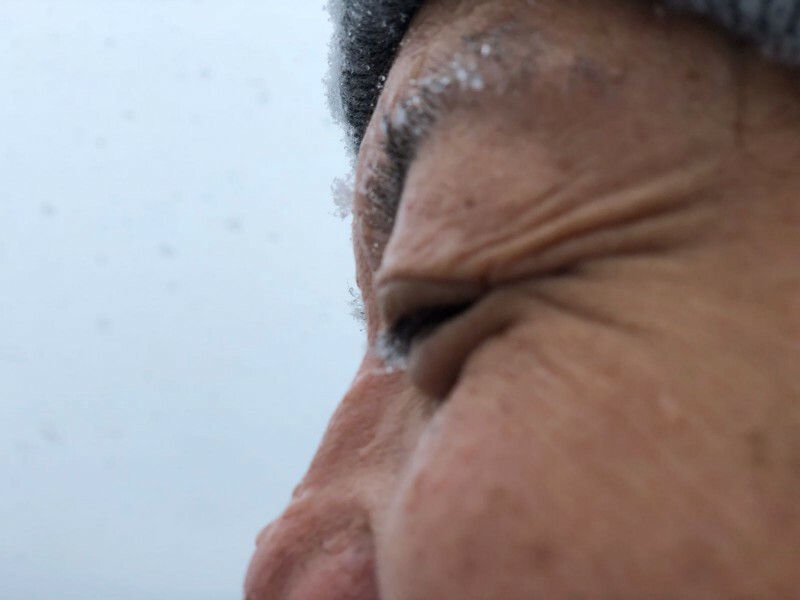 That timelessness in the stillness threw me off the edge of this mortal existence — and yet that was the moment I knew I was part of Antarctica. And why I meditated and yoga-ed with the ice bergs and sea ice every morning after. Because unless I connect viscerally at this level of commons with Antarctica, how could I love her and this planet completely? Unless I am reduced to this insignificance, how can I truly come to my power or greatness to do what’s needed of me? That moment paralysed me into that strange presence of absence through the rest of the trip. Odd it was, that in the days that followed, there was this gentle yet intimate unease. Some of the on-ship activities were not my clear favourites but that’s another story for another time. Expecting more expedition-like activities on land may also be another story for another time. But these were reactive emotions which I knew did not seep deep — and merely responses to unmet expectations. This unease was subterranean. Then it all came together — abstract yet overt. Antarctica did not wow me. 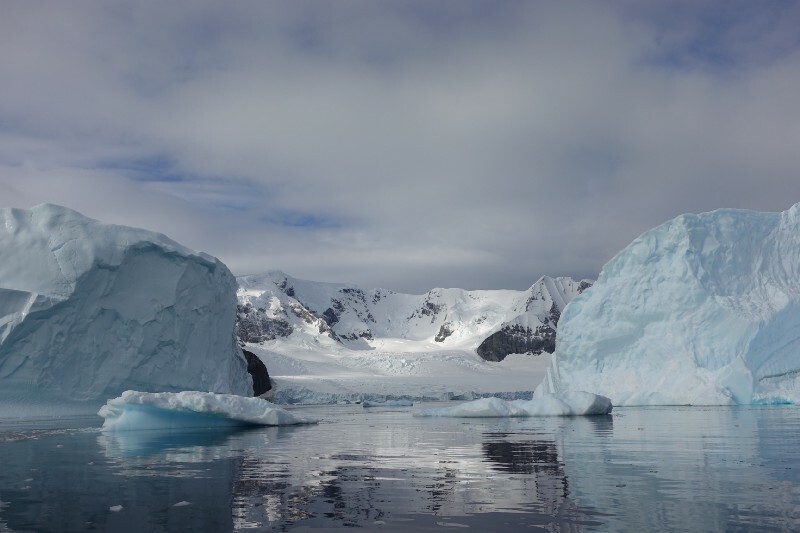 Antarctica ripped me open with its beauty, magnificence, mystery and vastness — that left me in awe, in absence and in affray. Because the surreality of such an experience simply has no benchmarks or references to draw from for superlatives, I was perhaps thrown off my centre — my compass. And therefore that strange sense of being there, but also not. Yet the cold — the harsh even if stunning environment — slowly heightened the state of misfit, that this land is not where we humans belong. I found myself intruding, that we were being intrusive because expedition or not to fight climate change, we were tresspassing — like we have trespassed so many of the unexplored on our planet in the past, and that we will continue to do beyond this planet in the future. The moral dilemma was now unmistakable — no wonder this inexplicable unease. Because whether this is called a cruise or an expedition (‘a journey with a purpose’), am I not perpetuating this paradoxical play of progress (for us) and destruction (for planet, for native tribes…)? A new territory of learning opened up and asked I did of myself — “I want to be here/I have to be here’ versus ‘I shouldn’t be here/I needn’t be here’. The need to explore is primal. This curiosity for the new and unknown is steep deep in human nature, and has been the bedrock for the evolutionary progress of Homo sapiens. Yet what baffles is not our need to explore but the insatiable desire to conquer, to claim/own what we have discovered and to change that which is ‘new’ to suit what we are comfortable with, to satisfy our needs. But isn’t this inverse delusion? Aren’t we holding back the progress of the entire galactic system by fitting the ‘new’ into the our ‘known’, never mind disrupting the balance? What is ‘new’ to us is not new in an objective context because it already, and has always, existed through time and space? How do we stay aware of this illusion of perspective that’s only ours? How do I stay in this singularity that is beyond humanity? Antarctica is ‘new’ only to us, not to the natives or to the ice sheets formed over millions of years. What is new to me was moving further along and deeper into this exploration of a different kind — of the Self within the larger history of humanity. The farther I travel out, the deeper I travel in. The First Discovery (more of reinforcement) was made that night in the cabin journalling that I need not be with anyone, or attend any of the obligatory socials, for acceptance. That I am comfortably homeward bound towards my true nature of silence, of solitude, of introversion — that quiet child that Mum so often talked about when I was little (and wondered what happened to me after!). A lifetime of making myself heard, seen and accepted by being a ‘professional’ extrovert and an overachiever so as to thwart the name-calling as a child born with an eye defect that invited taunts and bullying, and a teenage girl with no dating pursuits — therefore, an ingrained narrative of a marginalised identity. I am now at ease with who I am and what I offer that I can go back to that quietude, that introspective and introversive self. No more chasing. No more needing to be. The Second Discovery was from the pure hedonia of the legendary Polar Plunge. I love the waters and hold the ocean in awe (that’s why I live by the beach) yet am one of those who used to have the recurring nightmare of drowning in open waters. So, I made myself waterski/wakeboard (badly!) and miraculously passed my PADI diving course 20 years ago. As I walked up to the not-so-graceful Plunge into the hypothermia-inducing waters, I held not courage but this epiphanic calm that I am beyond my body and mind. Of the idea of self, of mortal death. Fear is dear for its gift in the now and here. In being the seer of what is. Going deep to soar high and free in spirit. That plunge, and all the metaphorical ones before, did. And now I will always have access to this wisdom of transience that transcends the fear of not being good enough, the fear of failure, the fear of death. May we never tame her. Antarctica did not wow me. She let me find me — the singularity of my existence within the larger history of my humanity, of this planet. Aplenty in questions. 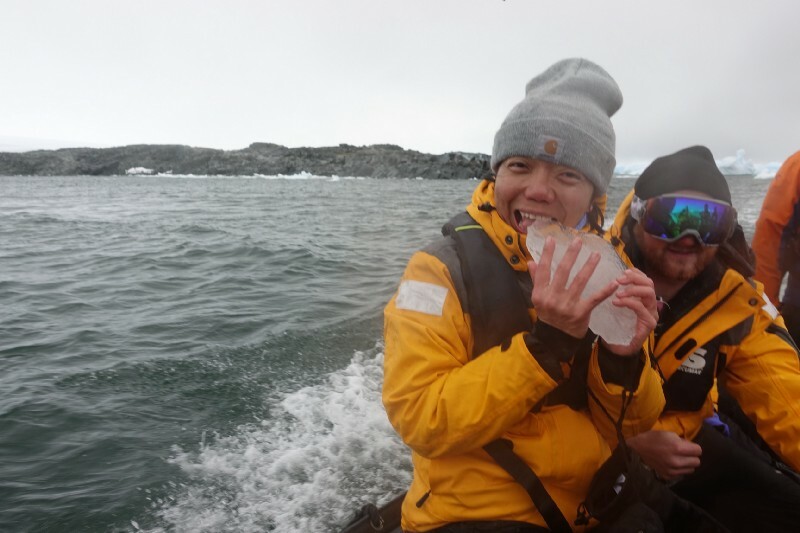 Anthea Ong is one of 90 changemakers from 22 countries selected to join the 2041 ClimateForce Leadership on the Edge Antarctica Expedition in March 2018 led by world-renowned explorer, Sir Robert Swan. The Expedition is about fighting climate change specifically but she also believed its about making a positive change for a better world, in general. An impact entrepreneur and investor, Anthea is also a life/executive coach holding space for personal change and transformation. 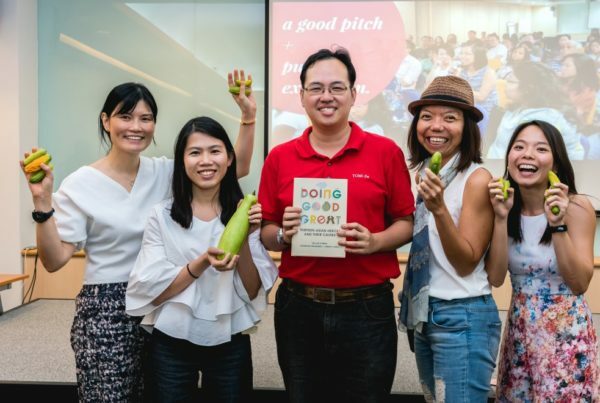 Her most famous impact project is Hush, Singapore’s first silent teabar that brings self care and social inclusion into every workplace through tea reflection rituals led by Deaf facilitators. She’s also founder of Our Tree Stories to connect humans and trees through stories, and A Good Space, a community-curated movement to bring catalysts together to inspire, invent, intersect and innovate inclusion and citizen engagement. 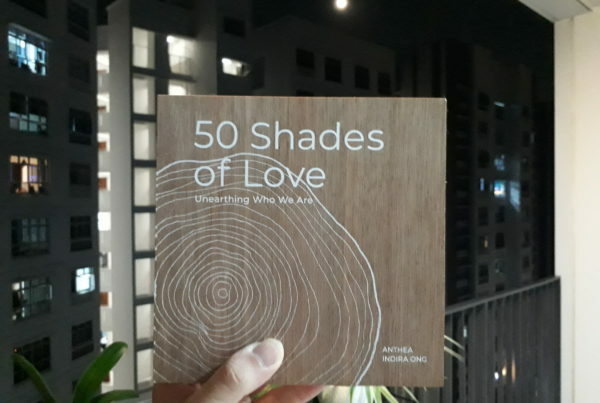 She commits to an inspired life through veganism, yoga/meditation and active volunteerism, and is also in the midst of finishing her book, 50 Shades of Love, of life, trees and stories. 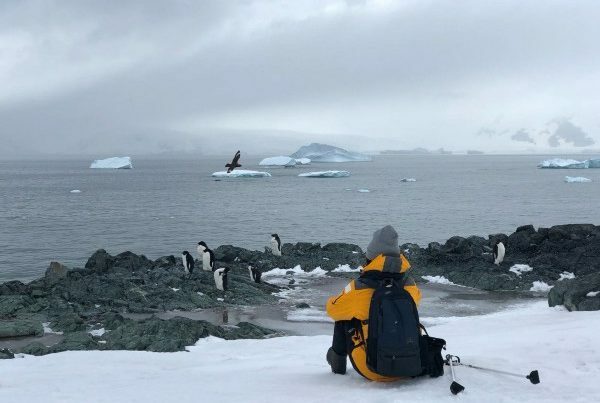 She continued with this odyssey after Antarctica by trekking solo through the wilderness of Patagonia for another 2 weeks – and is now comfortably back in Singapore.